PNC Firstside Center is named for the historic section of downtown Pittsburgh in which it rests. Firstside is a stretch of land along the Monongahela River that was a vibrant, commercial center of the city in the 19th and 20th centuries. In contrast to its name, Firstside Center is a modern office complex designed and engineered to support today's work environment. 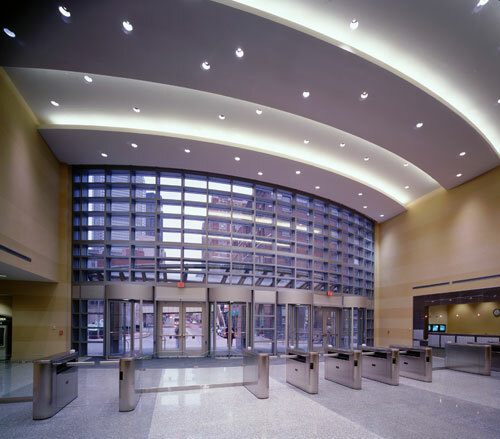 The building's grand entrance sports a variety of direct and indirect specialty and custom fixtures. 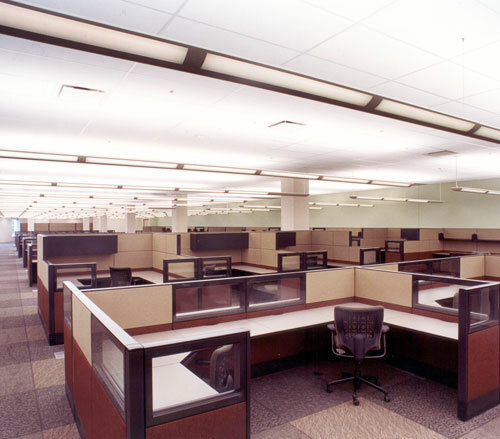 The building's overall lighting design was built around the owner's desire to construct an environmentally conscious building that provides an appropriate and comfortable level of light to every employee workstation. The Grand Entrance utilizes strategically placed Kurt Versen fixtures referred to as "The Galaxy". 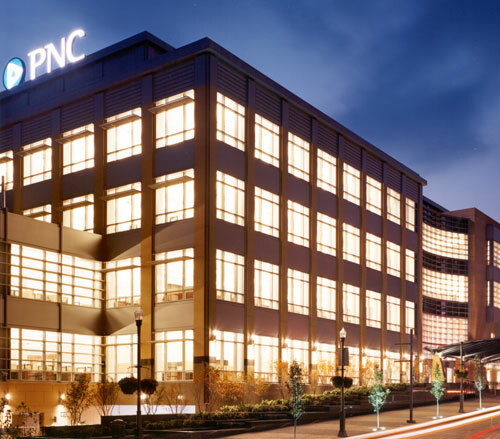 A look at the grand entrance of PNC Firstside gives the viewer a peek of the high-tech styling concepts of the entire building. Large, aluminum Hess America fixtures are installed on the exterior entrance columns. These Hess America fixtures utilize 26-watt biax fluorescent lamps that illuminate the building's limestone facade. The first section of the grand entrance lobby is three stories high and features Kurt Versen directional down lights. Each of these down lights is equipped with "par 56" 150-watt metal halide lamps. As you move through the grand lobby you find yourself in an atrium. This atrium soars five stories high with each floor open to a clerestory and the Pittsburgh sky above. 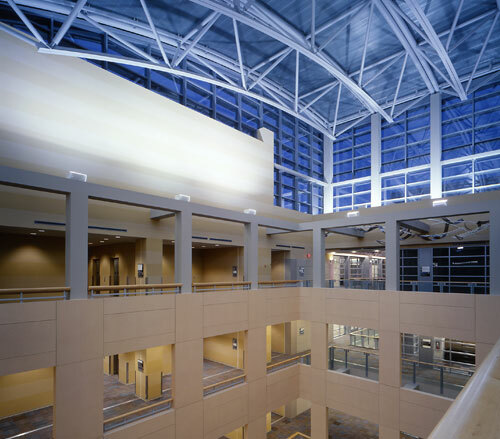 1100-watt Elliptipar metal halide fixtures mounted above the fifth floor shine onto the atrium roof providing an indirect supplemental light source to the natural light coming from the clerestory window walls. Specialty and custom lighting can be found throughout the nearly 700,000 square foot PNC Firstside. The employee cafeteria is one example of the lighting detail found in the building. The dining area features low voltage Tech Lighting mounted on track and pendants. The Tech Lighting uses the PNC blue color combined with an innovative design. The cafeteria also features 29 inch round pendant SPI Lighting fixtures. The unique fluorescent SPI fixtures are supported by aircraft cable and display custom lenses trimmed with the PNC blue color. 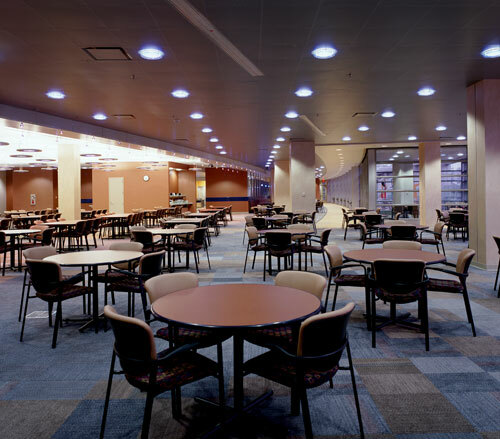 The PNC Firstside cafeteria lighting provides warmth and appeal to compliment employees and visitor dining. More than 5000 PNC employees staff the building. Workspaces are illuminated with functional and attractive indirect lighting. The large building glows with over four miles of indirect FineLite fixtures. 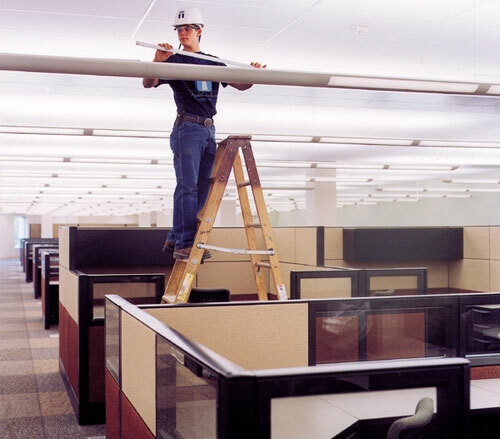 The custom length fixtures are mounted with aircraft cable and utilize FO32 Octron fluorescent lamps. Each floor is intended to be as open as possible, with a minimum of floor to ceiling walls and an emphasis on functional layouts using modular office components. Lighthouse has installed a special sound masking system to address the acoustical challenges presented by an open floor configuration. PNC Firstside lighting is environmentally friendly. All fixtures are fitted with electronic ballasts and most fixtures are equipped with 277 volt rated ballasts for maximum efficiency. The building has been awarded with LEEDS certification of silver status, and the lighting efficiency contributes to the award. 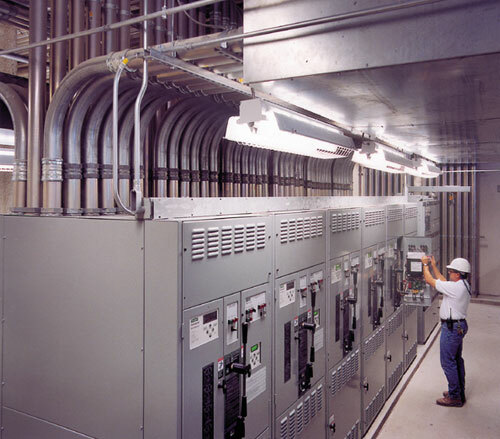 Pictured is the PNC Firstside main switch room. The building has redundant power feeds from the utility. Should both feeds fail, the building is protected by an Uninterrupted Power Supply (UPS) system. 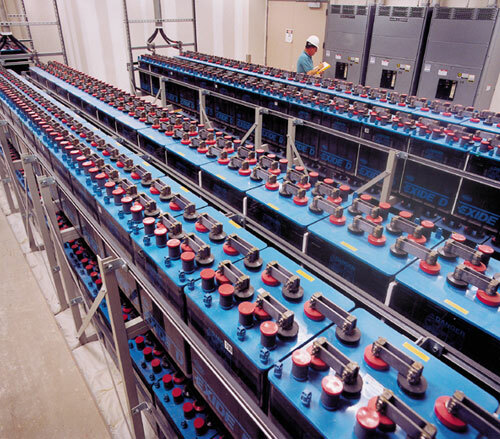 For long duration outages, the UPS system will automatically switch over to building generated power. 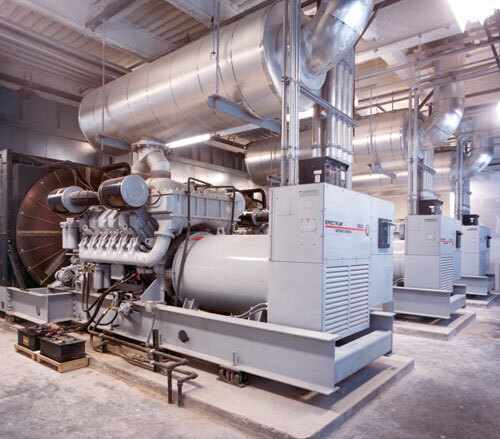 Three 1500 KVA generators provide electricity should there be a long term loss of power from the utility. Two 32,000-gallon tanks supply enough fuel to support the generators running the building at full capacity for one month.